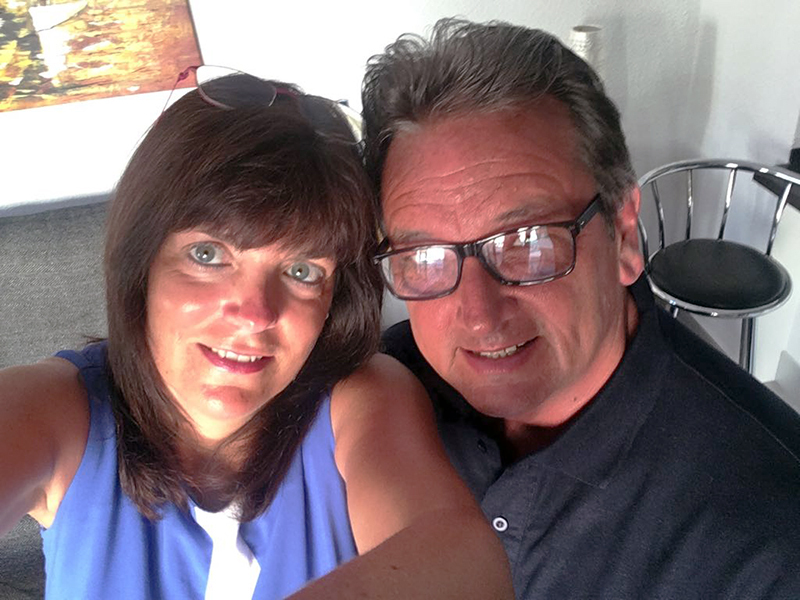 Suzanne O’Callaghan and Steve Whiteside couldn’t be happier with the villa HomeEspaña found them in Orihuela Costa, not least because it’s within walking distance of everything. The couple, who live in Limerick and are soon to be married, got the keys to their holiday home in Los Dolses in May 2018. They viewed it with HomeEspaña and had their offer of €288,000 accepted during a trip to Spain in May 2018. With their property reserved, Suzanne and Steve were then guided through the purchase process by Katherine at HomeEspaña. She put them in touch with a local independent law firm to whom they appointed power of attorney. Thanks to this help, opening a local bank account, obtaining their NIE number and completing at the notary’s all happened seamlessly. Suzanne and Steve’s detached villa has three bedrooms, including an en-suite master bedroom on the first floor, which also has a solarium. Downstairs are the living areas, kitchen, the two other bedrooms and a family bathroom. Outside they have a private pool, garden and outdoor storage room. Their plan is to spend much of the summer there. The couple decided to buy in Orihuela Costa when they holidayed there the previous year, staying in Villamartín. During their visit they hired a car and explored the area and the different beaches.